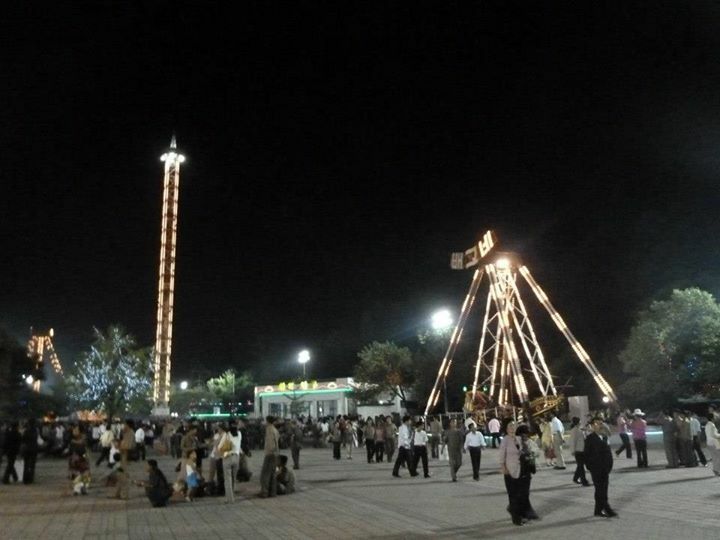 an amusement park in Pyongyang. 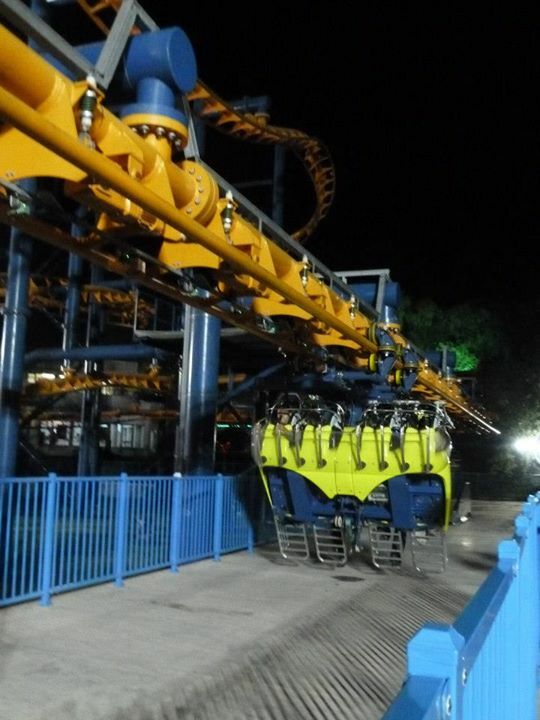 Reopened in 2010, with about 10 rides. This is one of the unexpected places as part of my tour itinerary to North Korea. I really did not expect that there is an amusement park in North Korea. Like.. woa, they actually know how to have fun? Oh wait, are they even allowed to have fun? Another surprise was that, it was at night. I didn’t expect any activities in the evening for my trip to North Korea due to my impression of North Korea as a country with strict regime. I thought the roads would be deserted and quiet at night cuz Kim Jong Un strictly make sure everyone goes to bed by 9pm.. Ok, I exaggerate, but it goes to show just how much assumptions we have due to how the country is portrayed by the media. Anyway, after the trip, I found out there are 3 others in North Korea. 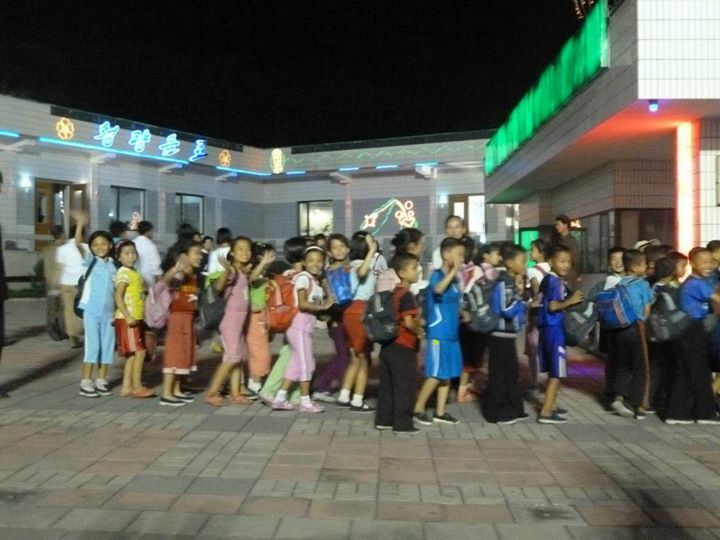 Other than families, group of friends and couples, there were also kids looking like they are on excursion because they were in big group, led by some adults. I found it strange because in Singapore, having an excursion at night is quite unheard of. 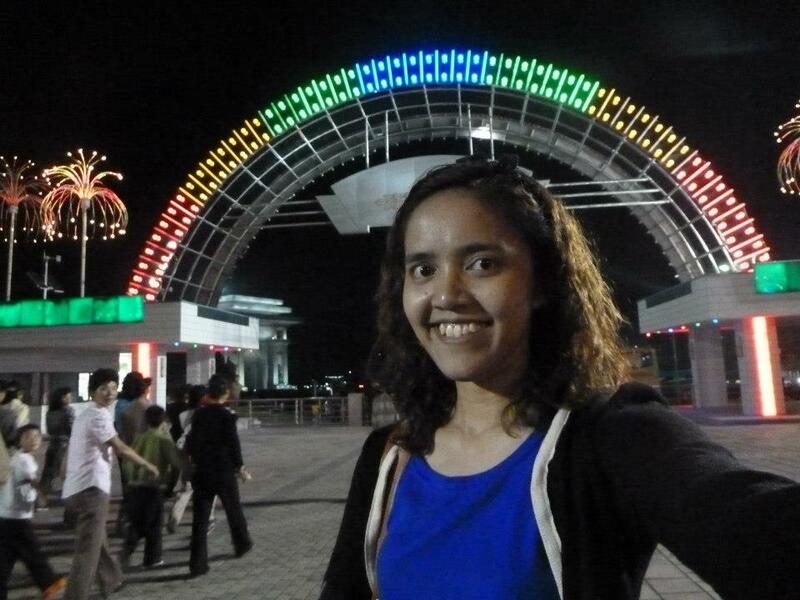 Then, we found out from the guide that this theme park is open only in the evening, 7pm to 12am. About the kids… Some of them are dressed in formal wear (shirt and pants for boys, and dress for girls), others in school uniform (identified by their white top and red neck scarf), but most are just in casual wear of shirts and shorts. When we had just arrived, we were standing around waiting for instruction from the guide, when one of the ladies from my tour group offered the children nearby some candies she had in her bag. Soon, there was a crowd of kids around us. They were curious about us as much as we were curious about them. 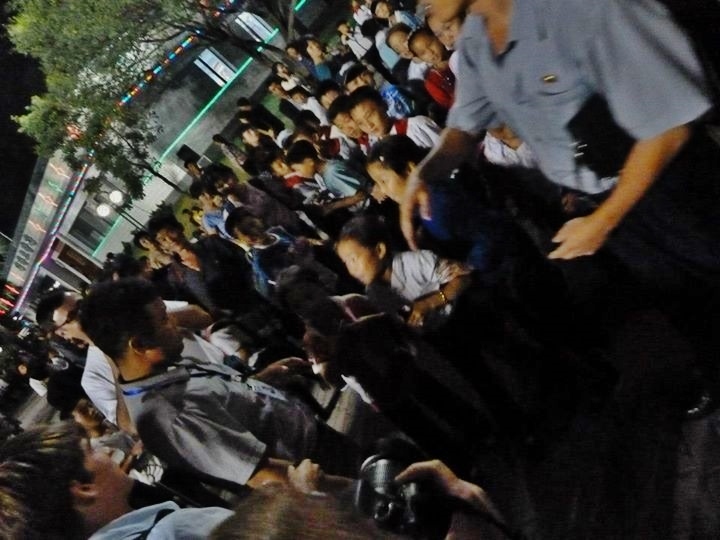 But before we can have interaction with them, our guide quickly stepped in to disperse the crowd. I don’t understand what he spoke to them, but one can sense that it wasn’t pleasant. After that, he told off the ladies who gave the candies and reminded us not to take or give anything with others. He also told them that those kids are not beggar. Since he raised his voice at them, I guess he was pretty much angry and upset of the incident. The tour guide, the guy with lanyard, quickly dispersed the crowd forming around us. He snapped at the kids to scoot off. Generally, I did observe on the trip that my tour guide seems to dislike it whenever we try to communicate with the locals. This incident also is one of the times that gives me the impression that the guide really do not like it when a negative impression is portrayed. The kids crowding around us for sweets may give us the impression that the kids are pitiful, and he was clearly embarrassed about it. It seems like he thinks it’s his duty to ensure that tourists have nothing but only the good and positive takeaways from North Korea. Anyway… back to the amusement park. 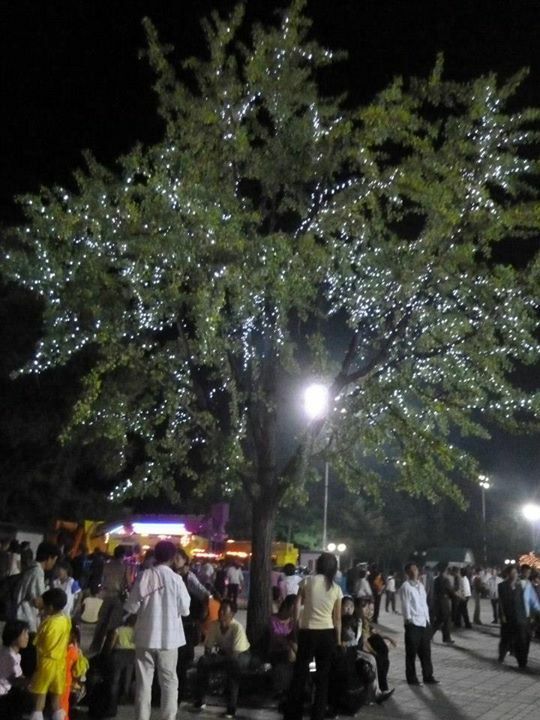 The place was pretty and cheerful with bright lights hanging even on trees and songs being played. They also have pretty much all kind of rides..
As we were tight for time, we were offered VIP treatment. For VIP treatment, the rides are 1-3 Euro, without having to queue. As the tour group has to remain intact and accompanied by the guide at all times, we were not allowed free and easy. The guide brought us as group from one ride to another ride. At each ride, he quoted the price and asked who was interested for the ride. These people were then accompanied by the theme park staff to the ride, bypassing the queue, whilst the rest remain with the tour guide. The rest waited for those on the ride to return before moving on the next ride. There weren’t many tourists, so we got a lot of attention from the locals when we got on the ride. There were some who will be blushing and looking away timidly when they sit next to tourists while on the ride, while others who were more confident, shook our hands and smiled. One of the memorable rides for me was the drop tower. It took us quite awhile to get everyone seated, fastening the belt etc.. and so, while waiting, since we were facing the crowd, some of us smiled and waved at the crowd. We actually got some cheers! Lol… Driven by the response, we cheered along and waved more vigorously…. and the cheer got louder. Other than the incident with the kids in the earlier part, it was pretty much just a regular evening. 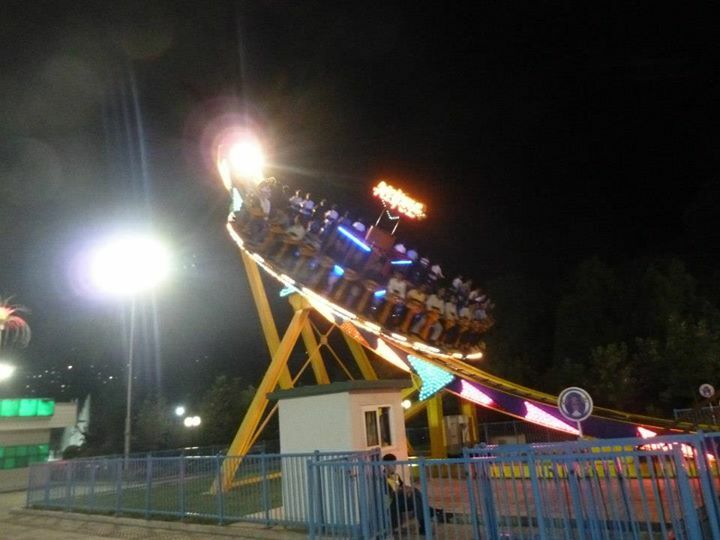 I went for most rides and the experience was the same, like any others that I had before in Singapore or anywhere else. It does not feel unsafe, weird or any different just because it was in North Korea. 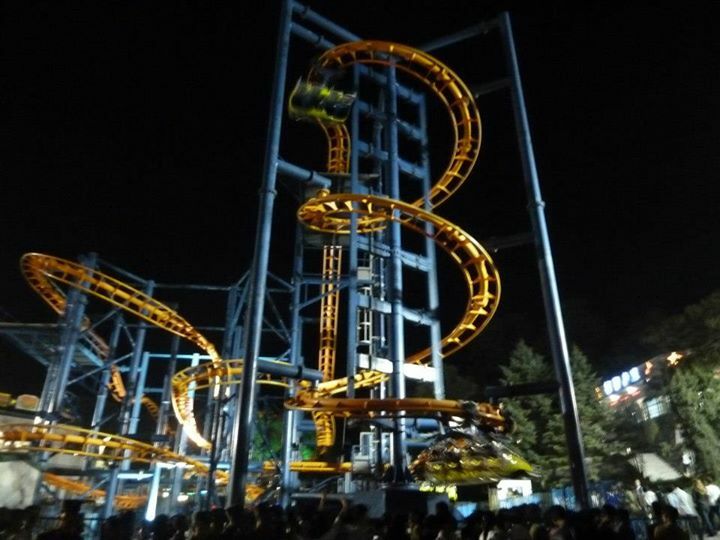 If you’re expecting adventurous stories like failed ride that stop halfway cuz you know, it’s North Korea… well, I’m sorry to disappoint you cuz it was really just simple night spent having fun on the rides. It was uneventful, but you can check out more actions at the amusement park in this video. But if you prefer the propaganda kind from North Korea media, it’ll be this video..